To waste much time on the old violin, but he held it up with a smile. "What am I bidden, good folks," he cried, "Who'll start the bidding for me?" "A dollar, a dollar; then two! Only two? Two dollars, and who'll make it three? Three dollars, once; three dollars twice; going, going for three.."
He played a melody pure and sweet, as a caroling angel sings. Said, "What am I bid for the old violin?" And he held it up with the bow. "A thousand dollars, and who'll make it two? Two thousand! And who'll make it three? Three thousand, once, three thousand, twice, and going and gone," said he. "We do not quite understand what changed its worth." Swift came the reply: "The Touch of a Master's Hand." Is auctioned cheap to the thoughtless crowd, much like the old violin. "He is going" once, and "going twice", He's going and almost gone." 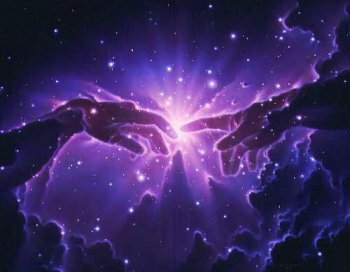 The worth of a soul and the change that is wrought by the Touch of THE Master's Hand. Before you commence reading, I believe that you should be warned, like the "caution statement" that the government requires on cigarette packs, that the following article is NOT recommended for the "weak in faith and spirit", or for those who prefer "pretty", placating delusions over robust, liberating truth. I often struggle with the question (as well may many of you if you are TRULY given to deep meditation and searching out the "hidden truths" of God - not to mention Truth), "How can God REALLY love me" or perhaps more to the point, "How can He TRULY love humanity (the human race)" ?? If you dare to take a REALLY close-up look at humanity at large, you would have to conclude that, as beings who were once created "in the image of God", we have sunk to a pretty despicable level !! Almost from our inception, we have been prideful, petty, willful, self-centered killers - obsessed with war, power and self-aggrandizing. On the national level, the history of humanity has been an unbroken sucession of war, desolation and destruction -- man seeking to dominate and enslave man !!! On the personal level, it is the same theme played in a minor key -- man trying to dominate his fellow man, to "lord it over them", to control and use them - and to take what is theirs. 23:27,28 Woe to you, experts in the law and you Pharisees, hypocrites! You are like whitewashed tombs that look beautiful on the outside but inside are full of the bones of the dead and of everything unclean. In the same way, on the outside you look righteous to people, but inside you are full of hypocrisy and lawlessness. to the psychotic war criminals like Hitler, serial murders, and child molesters and brutalizers. It transcends society - from the intellectual and artistic elite to those whose spirits, souls and bodies have been so racked and consumed by sin, drugs and debauchery that they are barely recognizable any longer as "human beings". Whether it be in business, politics, the "arts" or religion, the program is still the same - it is only the channel that differs !!! I find it EXTREMELY difficult to look upon the ranks of addicts -- who have so corrupted their spirits, souls, and bodies by their intake of various drug substances (including alcohol), that they are now barely recognizable as human beings -- with the love and compassion exhibited by Jesus. Or the criminals -- mass murders, abusers of woman and children, minds so twisted with hate and violence as to make a hardened solider shudder -- who have totally given themselves over to Evil. Or the Ultraliberals, so intoxicated by the idols of pride and self that ALL else is but a subject for scorn and ridicule. For years I have struggled with the issue of how to love people like those described above (or ANY people, for that matter) in the manner that God through Jesus loves. I have repeatedly asked God to give me His Heart and His Eyes so that I might see and love them as HE does. My expectation was that He would enable me to see past their Sin, and to see the "inner man" (as "christian lingo" goes), which I would then be able to love. My thought was a variation on the theme that is constantly propagated in "christian circles" - to the effect that God, "hates the sin but loves the sinner" - or that "when He looks at us (especially the "saved"), He doesn't see the sinful man, but sees rather Jesus' gleaming white mantel of righteous" which has been imputed to us. I believe that God has recently given me a revelation of His Heart that is an answer to that prayer. However, it was most assuredly NOT in the form that I was expecting !! What I was asking for and expecting, I guess, was that I would become like the image that we often visualize of God (through Jesus) -- gazing upon His cute, innocent, cuddly little son cooing in its crib - and to suddenly be overcome with feelings and visions of love for the aforementioned people (much like some Christians visualize God as doing). The problem is that we have listened to the humanist and sentimentalist propaganda within the so-called "church" for so long that we have become TOTALLY ignorant of the picture that God paints of the situation in His Word, the Bible. This is especially evident in the aforementioned ideas of how God, "hates the sin but loves the sinner" - or that "when He looks at us (especially the "saved"), He doesn't see the sinful man, but sees rather Jesus' gleaming white mantel of righteous" which has been imputed to us. Our concept of "love" has become so twisted and warped that we actually believe that when God looks upon sinful humanity, He experiences "feelings" like unto those of the father just mentioned. Our society has almost NO concept of "biblical love". We have been so saturated with the Hollywood concept of love -- that soft, sticky, sickly, sentimentality of popular novels, music and movies -- that our "Natural Minds" are totally incapable of comprehending what is the "Love of Christ" -- that very same quality He wishes to impart to us by His Holy Spirit, and have us live in and manifest. Our primary concept of love is emotional and most of all, sexual --- 180 degrees out of phase with the "Love of God" !! Many, particularly the younger generation, can barely distinguish between LOVE and LUST !! Click [ HERE ] for an excellent article on, "The Love of God in Jesus Christ" and [ HERE ] to download a .pdf copy of an outstanding short book by C.S. Lewis called, "The Four Loves". In it, he investigates the nature of and the differences between the four types of "love" in the Greek language, particularly the type (agape) primarily spoken of in the Bible and attributed to God and to Jesus Christ. Now this misconception of love results in a number of VERY profound problems for the Christian seriously attempting to "live and love" as Christ did. First, it manifests itself as we attempt, as instructed by the Bible, "to love God and Christ with all of our heart". Second, this exact same problem is manifest as we attempt to obey what Jesus said was the second most important thing, "that we are to love our neighbors as we do ourselves". Many, especially new converts, borrowing their understanding of love from the corrupt "world philosophy" just mentioned, are dismayed when they can not "work up" some emotional, sentimental feelings of "love" for God, Jesus and their fellow believers - let alone for the "unsaved" !! If they DID have such feelings at their conversion, they find that the feelings fade with time, and they THEN conclude that there is either some defect with themselves, with their faith, or worse yet, that perhaps they are not REALLY "christians" at all -- that the whole thing was just some kind of cruel joke or delusion. This, despite the fact that Jesus says VERY clearly, MANY times, that, "if you love me you will keep my commandments". He tells us that following after Him is a COMMITMENT of the WILL and NOT some exercise in summoning up the proper feelings. We might just as well be commanded to summon up, at will, feelings of courage or of hunger as feelings of "love". We can NOT do it - human feelings just do not work that way !! If feelings accompany the experience, they are an added bonus and NOT a proof that we do, in fact, LOVE!! C.S. Lewis mentions in one of his writings that God does NOT require feelings from us in ANY situation. Many people, due to the battering and experiences of life, have had their feelings damaged, and they may not be fully restored until the time of the "restitution of ALL things". Thirdly, and we now come to the main point of this essay -- this warped concept of love gives us a TOTALLY false understanding of God's view of "feelings" toward and dealings with humanity. It will likewise affect OUR view of "feelings" toward and dealings with humanity - and how we will relate to and deal with the unsaved. It also often creates a terrible and overwhelming burden of guilt and condemnation for BOTH the saved and the UNsaved alike. How many of us sometimes look at ourselves in a moment of "naked, inner honesty", and wrestle with the question of, "How can God (who supposedly knows everything about us) POSSIBLY have these 'warm, gushing, sentimental feelings' of love toward us - knowing who we are, what we DID do, what we are CURRENTLY doing, and what we will no doubt CONTINUE to do into the indeterminate future ??" If WE find the image repugnant, how can we believe that a God who, we are told, "hates Sin and Iniquity" would find it and us any less so ?? This predicament has its source (at least in LARGE part) in our miscomprehension of God, and in our belief that He is basically like us, and in our attributing human attributes and "feelings" to Him. The Old Testament DOES make it clear that God IS moved and touched by our (humanities) condition and plight, and certainly DOES respond to our response (or lack thereof) toward Him. In the New Testament, of course, Jesus Christ, though "God in the Flesh", was made as we are (in ALL points EXCEPT Sin), so thus possessed fully human feelings and responses. The problem is that through Sin, we are now TOTALLY out of harmony with God and with the PROPER functioning of the senses and capacities that He gave us. They have become so warped, corrupted and twisted that humanity, for the most part, now calls, "good evil and evil good". Our spirit, which was to be our interface (link, connection) with God and the ruler over our soulish powers (feelings, intellect, etc.) has become dormant or atrophied. As a result, we are out of balance, ruled either by our intellect or by our feelings. BOTH cases result in error and disaster, since NEITHER was meant to be the "supreme ruler", but were to work in harmony, under the control of our spirit. In the case of what we today call "love", the scales are almost 100% out of balance, with "love" being almost exclusively defined as being a matter of the "feelings", excluding completely the intellect and , especially, the WILL. It will come as a severe shock to most bible readers today to learn that MOST of the references to "love" are the Greek word, "agape", which has NOTHING to do with feelings, but has EVERYTHING to do with commitment and a "setting of the will" !! It is as C.S. Lewis comments in his book, "The Four Loves" regarding marriage. When couples take the vow to love each other until, "death do them part", they were NOT, in years past, committing to love each other until those "feelings of love" disappeared or until it was no longer convenient to one or the other to continue the marriage. NO -- they were making a commitment of their WILL that they would honor their vows TO THE END, no matter WHAT circumstances intervened. No wonder we have trouble believing that God does or continues to love us - NO MATTER WHAT - when this is our sick and distorted concept of "love" !! In the Bible, God's love and relationship toward us has ABSOLUTELY NOTHING to do with personal worth or feelings. In the OT, it was based upon a "covenant" (a legal agreement) between Himself and the Nation of Israel -- if THEY would do such, He agreed to do such. However, as we move into the NT (and into a relationship with Jesus Christ), this situation changes. Our relationship is STILL covenant based, but the covenant is NO LONGER between God and mankind, but is now between God and ONE man - Jesus Christ. God tells us in the Book of Hebrews that He has now made a BETTER covenant which, "WILL be fulfilled and CAN NOT be broken, with God Himself as the guarantor of BOTH sides of the agreement !!" Click [ HERE ] for Hebrews 6 and 8. In the Book of Hebrews, it is written, "These things were written for OUR instruction" - "these things" referring to the Old Testament scriptures. I believe that the entire OT and the Nation of Israel is one, huge parable reflecting the relationship between God and MANkind in general - our heart and behavior toward God and His toward us. The first thing that stands out like a glaring spotlight on a pitch black countryside is Israel's stubbornness, rebellion, faithlessness, lack of faith toward God and continual whoring after idols (false gods). The second thing that stands out is God's continual wooing of and calling out to His "faithless bride", and His "proclamations of forgiveness" toward them whenever they should return to Him. This process is repeated OVER and OVER again for the entire history of Israel - from their calling out of Egypt to their final dispersal as a nation at the hands of Assyria and Babylon. The Book of Jeremiah is almost one continual account of "God's weeping" as He pours out His heart through the prophet Jeremiah -- rebuking Israel for their sin, pleading with them to return in faithfulness, and recounting to them His heartbreak as He is forced by their "spiritual adultery" to use ever stronger means to woe them away from their idols and back to Himself. Three points that stand out are that He tells them: (1.) that "He has loved them with an 'everlasting' love", (2.) that, "He will NEVER forsake them completely, for they are His chosen, His beloved, His Wife (Bride)", and (3.) that, "though HE HIMSELF may have to chastise them in the MOST severe of ways, in the end He WILL call them back and restore them to Himself in an 'everlasting' covenant". He tells them that He will do these things, certainly NOT because of ANY goodness in Israel herself. As a matter of fact, when He gave Israel her "promised land" and told her that He Himself would go with her to drive out the inhabitants, God told Israel that it was most assuredly NOT for any goodness that she possessed, but because of the extreme wickedness of those who currently possessed the land. God reveals to US (the whole of mankind), especially through the writings of the Apostle Paul in the NT, that His evaluation of the rest of humanity is NO more flattering. Through Jeremiah, He proclaims to Israel that she has sunk to greater measures of depravity and wickedness than her neighbors ever even dreamed of !! None-the-less, God continues to assure her that no matter how black things get, He will not abandon nor forget her. WHY - because God had sworn by Himself a covenant with their fathers Abraham and David, and because God was HIMSELF - that He does not change - and that what He has proposed and sworn to do HE WILL DO !! There were no "FEELINGS" involved - it was a commitment of His WILL. It did NOT depend upon the actions or the "goodness" of Israel -- He saw and knew beyond ANY doubt how wicked, despicable, and "unlovable" they were. He wasn't peering at them, "down the corridors of time" with some rose (blood?) colored glasses, seeing them "through the righteous of His Son, Jesus Christ" !!! NO, a thousand times NO - let us be rid of this "religious idiocy". He saw them VERY clearly in the "here and now", exactly as they were, in their "filthy rags of self-righteous" and He proclaimed in His Heart, "I have and I do love you because I am your Father and your Lord. I have vowed within myself and by no other, that I, by MY arm alone, shall redeem you from your filth and wed you to myself in purity and righteous. I have proclaimed it and it shall be done, for I AM HE !!" Thus He proclaimed to and did for Israel, and thus He proclaimed and did (DOES) for MANkind in general, and for You and for ME in particular !!!! What this means is that, "from before the ages (time, this world) began", God had in His heart to do something, to accomplish a purpose that He had devised within Himself -- that purpose being to raise up for Himself a "family of Sons". He COMMITTED with and within Himself to fulfill this purpose. It was NOT dependent upon His "feelings" and most certainly NOT upon our feelings, actions or individual worth. NO, it was and IS PURELY God's purpose, and He committed and vowed within Himself (set His WILL) that, "I will complete ALL that which I intend. If I have decided, WHO then can turn back my hand ??" It is for this reason alone that God created us, that He loves us, that He saves us, and that He matures us unto "son-ship". It has NOTHING to do with our "loveability" (for the scripture tells us that we neither had nor have any). It has NOTHING to do with our intrinsic worth, with our "gifts and/or talents" (for whichever, if any, that we might posses originally were a gift from God). It has NOTHING to do with our "deserving or deserts" (for scripture says that what we deserve is JUDGMENT). Finally, it most certainly has NOTHING to do with our "goodness" or good works and/or achievements (for it says that God sees these as being of no more value than human refuse). On account of the "fall of Mankind" (through Adam), we have become "puffed up in our foolish, arrogant, deluded minds". Though we are but small, poor created beings -- not even created to be something of grandeur and worth WITHIN OURSELVES, but rather to be containers, vessels to display the grandeur, greatness and GLORY of another (God) -- we fancy ourselves to be "little gods". It was through this lie and deception that Adam lost his first place. Satan taunted him (and Eve) with the lie that, "You can be something great WITHIN YOURSELVES. You need not serve God as a 'second place being'. The secrets of the knowledge and power of the universe can be YOURS. You can be like God Himself if you will only rise up, exert yourself and break free." Sad to say, both Adam and Eve believed this lie (as do their descendants down to this day). However, as we know, they did NOT rise up to become "gods", but rather sunk down to become "worms", groveling upon the ground for their life and subsistence, enslaved to the lies and tyranny of their NEW master, the "master liar" himself -- Satan, the Deceiver !! It was into THIS story and upon THIS scene that Jesus descended into this creation. It was NOT on account of our "loveability", "goodness", worth or talents that He came, but SOLELY because we needed to be rescued. We were the "lost sheep and the lost coin" that needed to be found again. Our sole redeeming value was that we were LOST. We were the "spiritual lepers" whose physical counterparts Jesus healed. We were the "sick" whom Jesus told the self righteous "needed a physician". We were the "captives to Sin and Satan" who needed to be set free. We were, "enemies of God (within ourselves)" who needed to be reconciled. I was once talking to a non-Christian, and I mentioned Romans 3 above to her. Her response was, "Well, if THAT is what God thinks about me and the rest of humanity, I really don't think that I want anything to do with Him !!" Such is the plight of mankind in general. It is akin to a Nazi drowning in the ocean. Along comes a Jew and throws him a life preserver. The Nazi spits and says, "I would rather die than accept help from a JEW!!" Humanity is just as crazed with Pride and Prejudice as was that Nazi. Humanity, however, is FAR worse off than the Nazi above. It IS possible that another more to the liking of the Nazi MIGHT come along. For humanity, however, Jesus tells us that there is but and ONLY one -- Himself -- who can provide the needed help !! C.S. Lewis makes an interesting observation regarding the "thinking process" of modern humanity in one of his books, "God In the Dock". Incidentally, in the British court system, the "dock" was (is) an enclosed place where the defendant stands or sits in a court of law. Lewis says that in ancient times, Man was acutely aware of his sin and accompanying burden of moral guilt, and was actively seeking ways to have it alleviated. Today, to the contrary -- psychotherapy, "scientific discovery" and intellectualism having all but eliminated ANY understanding and/or consciousness of 'Sin" and guilt -- modern society has God in the "dock". We NOW believe that it is HE that must answer for why He has allowed man and creation to come into such a state !! We esteem ourselves to be something great and important, when in reality we are drowning men (and woman), desperately in need of a life preserver (and along comes Jesus Christ to give us one). 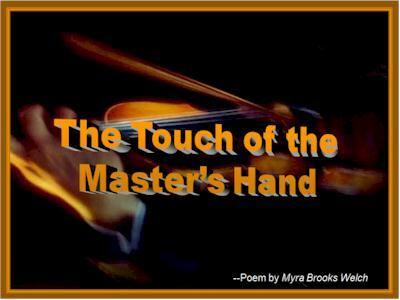 Or, as in the title of this article, we are broken instruments, created to make beautiful music for our creator, awaiting for the "Touch of THE Master's Hand" to again make us whole !!! "The Serpent of Religion ??" "Jesus Is Not Nice -- But He IS God!"